This is probably the closest I will get to ever wearing a "suit." I found this beautiful early 1960's lace ensemble at a flea market and before this I had only worn the pieces separately (here and here), but I thought it might be fun to actually wear them together as originally intended. 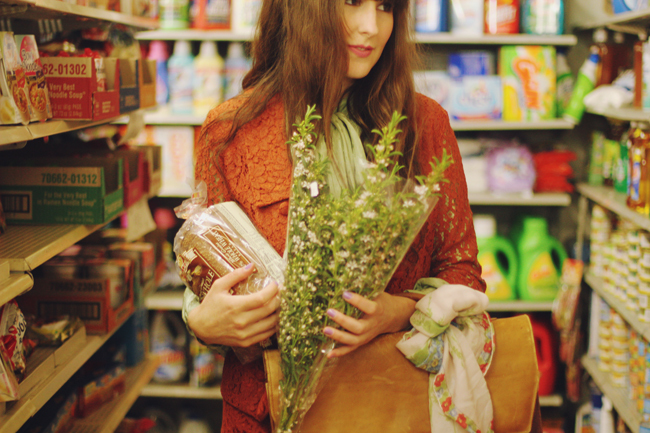 I added a silk blouse in my favorite minty hue, a beat-up old briefcase, and some 1940's-style heels and then popped into the corner market for a few boring essentials, a bottle of champagne (decidedly un-boring) and cheap flowers. It felt like the right kind of cheeky business lady attire to celebrate finally branching out on my own. 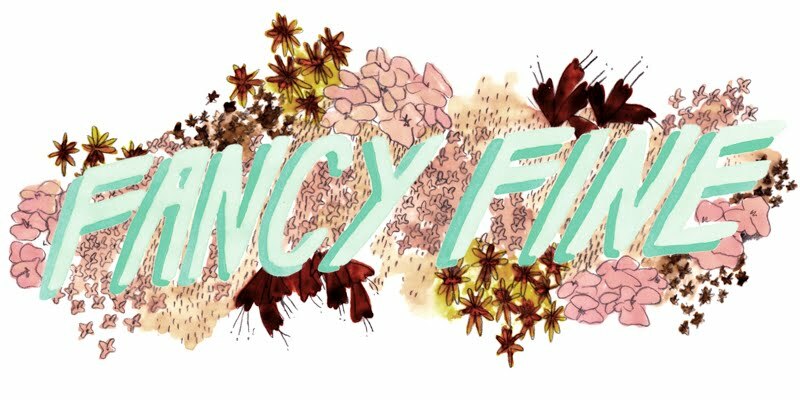 Keep an eye on Fancy Fine Vintage, it will be overflowing with pretty new things soon and much more frequently! 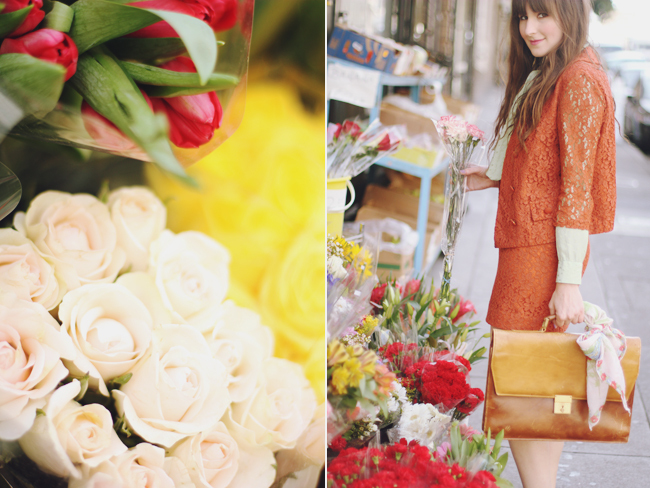 I can't even begin to describe how amazing these photos are and how adorable your outfit is! So cute! Favorite. Outfit. Ever. 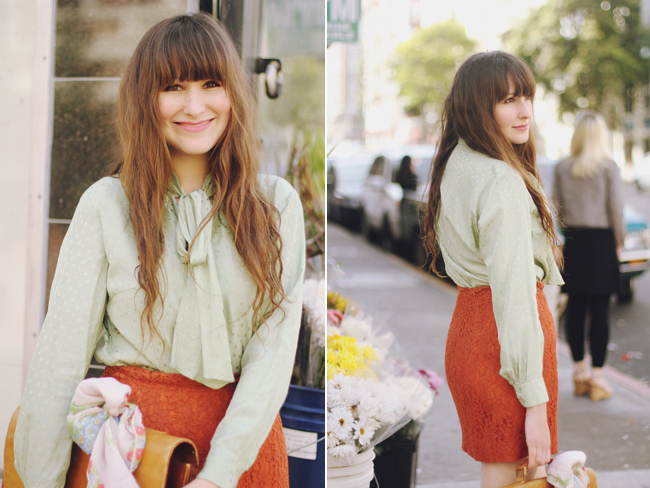 I love the crochet and the colors and the retro professional vibe. Enjoy your weekend! Gaaah! I'm always looking for skirt suits. It's so hard to find ones that aren't just fuddy duddy wool ones. I love this! Well my lady, this is what I call Styling! That beautiful suit would not be an easy one to wear everyday, but on you it looks fresh and fun! You're the best, Ashley! 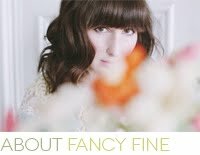 you look unbelievable... LOVe how you styled this, miss fancy little lady! I think we maybe neighbors and not even know it!!!! You always come up with the best color combos! I never would have thought to pair burnt orange and pale mint together but I love it! I also have these heels, and they pair perfectly with your lace blazer!! Great outfit. Loved the way you wore the items previously & loved this remix too (esp. 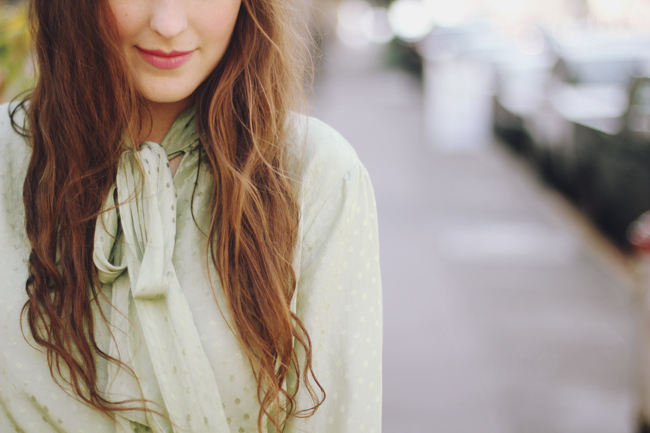 the mint blouse). 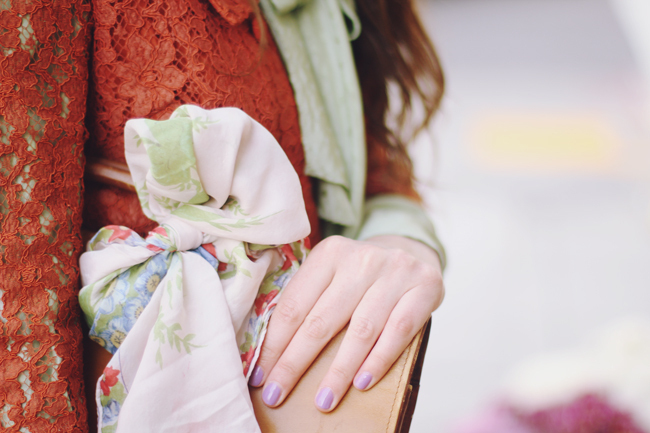 And I have a bag exactly like this, which makes me feel super stylish now. So cute and springy! 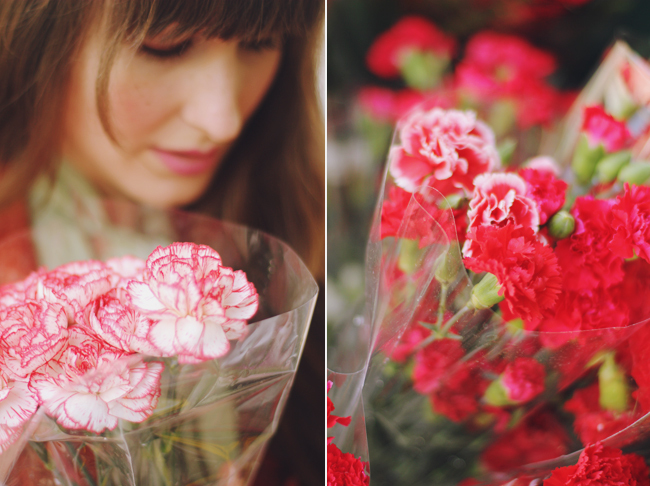 I love that you did the photo shoot at a flower market! 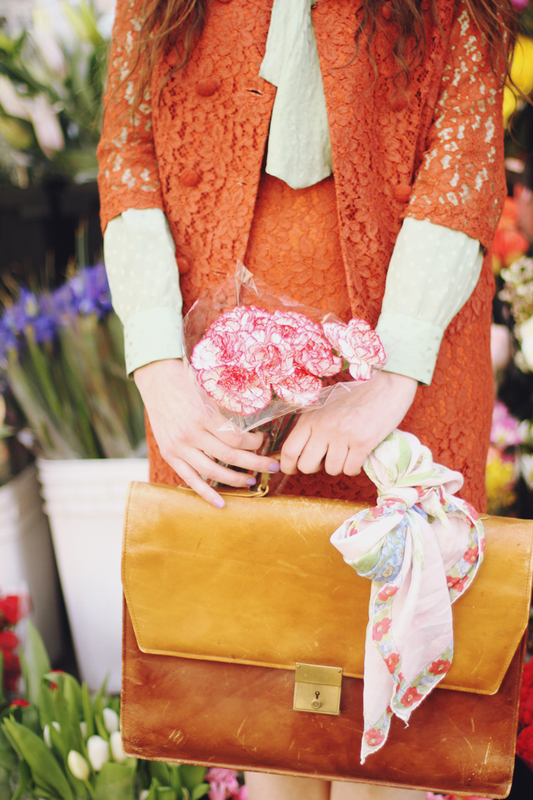 I have a tenderness for a vintage suit & your lace orange one is just perfect. Love the Budweiser sign in the background too. Good for you for pursuing your dreams, btw. oh my goodness that suit is amazing. and it's orange my favorite color!!! I think we're all scared of suit sets but this one is too pretty to hate!! I love suits in fun prints, this lace has such fun bright color, I love it! They look perfect together, such a great look! I work in a banking environment where dressing in vintage is permissible and I would be so down to wear this type of suit :) I looks so lovely on you!! You paired it fabulously with the mint blouse. Beautiful photographs & a beautiful outfit! That shade of orange and mint green look oh so lovely on you! You have amazing style!! 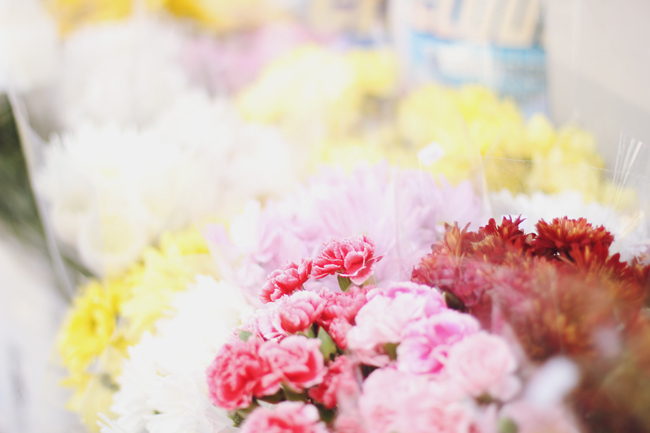 So many pretty flowers! You look amazing as well, love the minty top. OMG, this lace suit is so gorgeous! love it! Oh, what wolor of nail polish are you wearing?